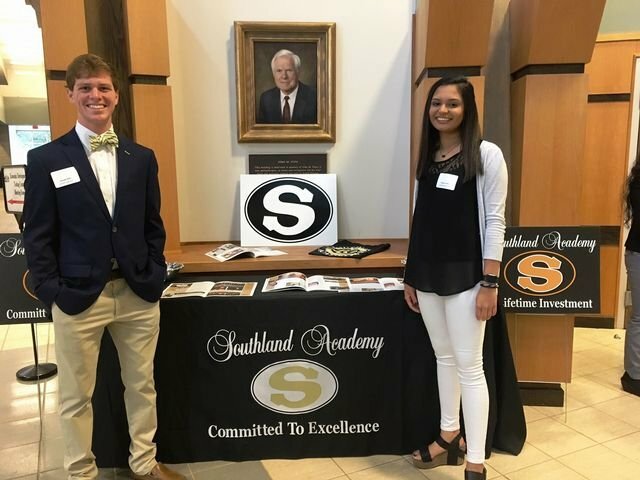 Pictured are Southland Academy seniors George Wall and Deepa Patel. Seniors, Deepa Patel and George Wall represented Southland Academy at the State of Education Event held at South Georgia Technical College. The Chamber of Commerce event featured community educational leaders who participated in a question and answer forum regarding the relationship between educational institutions and the business community in Sumter County. George Wall also offered the invocation to begin the dinner and meeting.